After the rush of applying to and being accepted on a UK university course, it is normal for students to go through periods of disorganisation, low motivation and procrastination. There are a number of different ways you can break out of this early slump though and get on top of your course work. 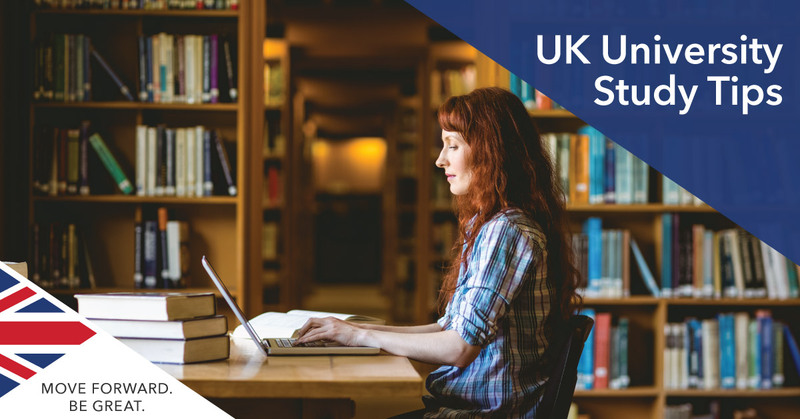 At a UK university you will be studying subjects at a higher level, and you will need more than a few weeks of cramming to truly get the hang of a lot of the new information and learning methods you are taking in. Learn more below about what you need to start doing every day in order improve your gradesand making the most of your UK university course. As a university student you will be expected to research your subjects widely outside the classroom through reading newspapers, magazine articles and researching online – perhaps even the odd academic article. While this can add depth to your work, remember to focus your attention on what you need to know: your syllabus. Focus on your subject syllabus early on and read items related to it. When you’re revising for a test, read through it and make sure you’ve covered all the necessary areas. Your syllabus is your most valuable tool in doing well at a UK university. Start thinking about the areas on which you need to improve, and try working on what’s holding you back in some of your harder modules. List all the modules that you study and then write three things you think you need to improve on. This may give you a clearer picture about where you need to focus. The notes you make in your lectures help you stay on top of things as you progress through your studies. They are a crucial tool when you need to be reminded of key points made in a lecture at the beginning of the semester. They will also become far more valuable than any textbook or revision guide: they’ll contain your own personal insights and ways of understanding topics. They’ll be tailor-made for you, by you. Different study locations suit different people. If you’re easily distracted, find yourself a quiet, comfortable corner of the library to settle down in. If you work well surrounded by others, why not the buzz of a café? Learn what works for you. Do not be too hard on yourself if you do not spend every single hour of the day studying. A good general rule is to divide the day into three parts: morning, afternoon, and evening – and aim to work every day for the whole of one of them away from your seminars and lectures. Ideally you will will be working for two of them, but it is important to not burn yourself out. If you want to study in the UK, arrange a free consultation today. Our friendly international consultants in London and Manchester can assist with all your questions about applying to the best universities in the UK. A wide range of university application services also have you covered.